Say you’re interested in learning more about home theatre systems, even though you have no specific plans to buy one. Wouldn’t it be nice to talk to an expert – without feeling pressured to make a purchase? That's why I always make myself accessible to my clients. I may not be able to help much in the area of home theatre systems, but I can answer your questions about the local real estate scene. 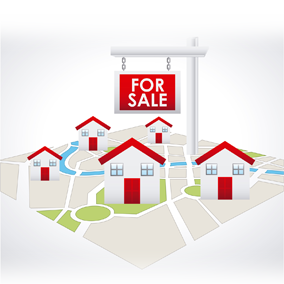 For example, you may be curious about homes currently available for sale in a particular area. You may also be wondering how much your current property would sell for in today’s market. I consider it my job as your REALTOR® to be the expert you can trust – during moves, and in-between moves. So when you want to talk to your expert, don’t hesitate to give me a call. Pride of ownership. Take a walk around the neighbourhood. Do you get a sense that people take good care of their homes? Are the lawns mowed? Is the landscaping trimmed? Are flowers planted? Homeowners are more likely to look after their properties when they like where they are living. Home improvements. Are people investing in their homes? Are they getting their driveways re-done? Their windows replaced? Are there signs of home improvement projects? If so, this is a clear indication that homeowners like the area enough to invest in their properties. Community involvement. Are there signs that the community plays an active role in the look and lifestyle of the neighbourhood? Are there neighbourhood picnics, yard sales and other get-togethers? Check Facebook to see if the neighbourhood has a community page. City plans. Find out what plans the city has for the area. Will there be road improvements done in the near future? Are there any major construction projects on the schedule, such as a new school or community centre? Although such projects can be disruptive in the short term, they may improve the neighbourhood – and, as a result, boost the value of any home you buy – in the long-term. If you need help finding this information, call today. 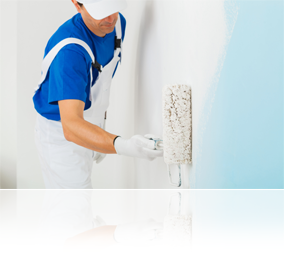 A fresh coat of paint is the fastest and most inexpensive way to make your property more attractive to buyers. It can make just about any room look stylish and new. The challenge is determining what paint colours and options you should choose out of the hundreds available. Should you be daring and select “designer” colours? Should you consider stippling, ragging and other effects? Experts say to keep it simple. Stick to just two or three traditional colours for your entire home. The simple consistent tones will make your property appealing to the tastes of more buyers. When it comes to home security, most homeowners think about door locks and alarms. These are, of course, very important. However, there is also a lot you can do around your property to prevent the possibility of a break-in. One important part of home security is outdoor lighting. Your home doesn't need to be lit up like a baseball diamond at night, but your exterior lighting should illuminate your yard enough to be a deterrent to burglars. Some burglars hide around the property and wait for someone to arrive and open the door so they can use that opportunity to force their way into your home. Security experts suggest that you walk around your property and look for areas where someone could hide, such as behind tall shrubbery or behind a tool shed. Make sure these areas are well lit. Pay particular attention to lighting around exterior doors, especially the back door. Experts also recommend that exterior lighting be installed with a timed dimmer. The lights can then be set to cast a bright light in the early evening, and then a dimmer light throughout the rest of the night. Lights installed with motion detectors can also be effective in certain areas. The sensors will cause the light to turn on or brighten when someone comes onto that part of your property. Generally, thieves will flee as soon as they see a light turn on. 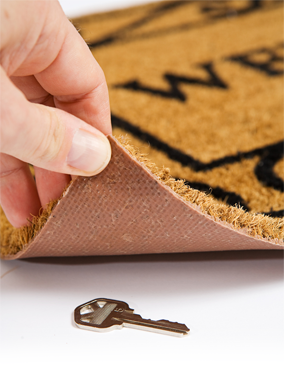 Do you hide a spare key under the front door mat or in a flower pot? You may think you have found a clever spot, but experienced thieves know all the common hiding places. So, if you need to have a spare key available, put it in a small combination lock box and hide the box. Even if a burglar finds the box, he won't be able to open it and access the key.